Looking to get some new speakers for the home entertainment center? Maybe you want something in your computer room. Something with performance and something that looks good. That is where Orb Audio comes in. Orb Audio is a modular speaker system that can give you simple or complex sound in your home. You can choose 2 speakers, or get the full 5.1 surround system for high definition movies and TV. Designed in the US, these speakers are no bigger than a softball – yet there is nothing soft about them. Connecting to a receiver, these speakers put out some sound. Starting with the Quick Pack – a two speaker system – you can use these at the computer or for a smaller system. However, if you are going to pay for these speakers, you might just get the subwoofer to round out the sound (although I figure the Quick pack is to upgrade any sound system). And if you are paying for 2.1 sound, why not up it to 5.1 surround in the Mod1. 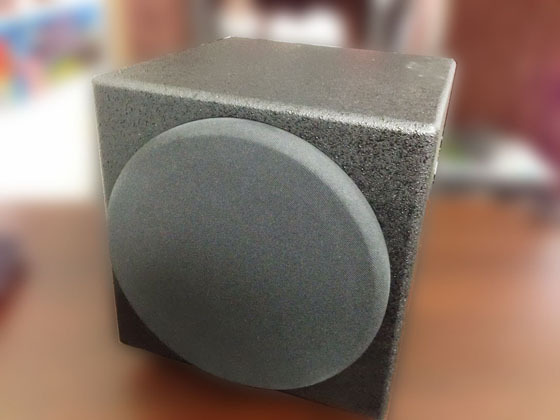 These speakers come in multiple colors – Black, white, hammered earth, steel, copper or bronze. With a variety of stands you can set these on a table, behind the couch or mounted to a wall or ceiling. Whatever it takes to give high quality sound. Although there is no remote control, you will most likely have control to whatever receiver you plug these speakers into. The Super Eight is a 200 Watt subwoofer that stays on all the time unless you physically get up and turn the speaker off. If you need more oomph from a subwoofer, Orb also has the Uber Ten – a 300 Watt subwoofer. Speakers are fun to test. I get to move them around the room trying to figure out the best configuration. I also had to borrow a receiver since I use a simple 2.1 powered system for the TV. If you own your own home or can run cables through the walls, you can setup your Orb audio for best configuration of surround sound. The speakers are small and stylish. Each speaker is about $115. The Quick pack is $239 (2 speakers) and the Mod1 (5.1) starts at $798. A complete theater with Marantz or Dennon receiver will run you $1,000 to $1,500. 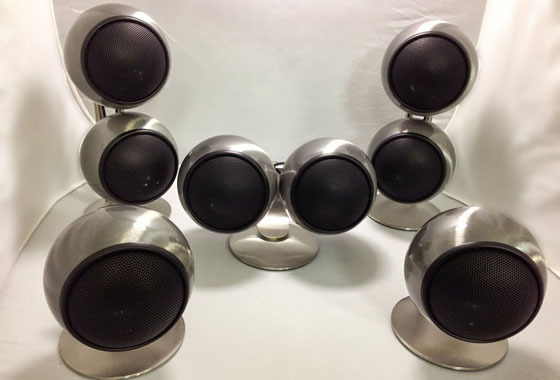 So if you are thinking of getting rid of your older system or need your first home theater system speakers, check out Orb Audio at www.orbaudio.com. Tell them Geekazine sent you! Where Should Blackberry Go? Apple TV vs. Roku vs. Chromecast – It’s a Throwdown!